What Rooms Get Remodeled the Most? The answer to the question of what rooms do homeowners choose to remodel the most can be found in the 2017 Houzz & Home Report. And, the answers are: the kitchen, guest/other bathroom, living/family room and the master bathroom. The study, which reports on the frequency of top interior remodeling projects among homeowners who renovated in 2016, showcases key rooms in the house where people are choosing to invest their money in upgrades. Study results indicate that 87 percent of the surveyed respondents leaned on professional assistance for their remodeling work, up from 85 percent in 2015. "Both first-time buyers and long-term homeowners are making the decision to get professional assistance to re-sculpture their home space to make it more comfortable and suitable for their personal needs," says Roger Murphy, president of Hy-Lite, a U.S. Block Windows Company. "These survey results don't surprise us. At Hy-Lite we're seeing increased requests for privacy windows that are suitable for each of these areas of the home --- kitchen, living spaces and bathrooms. "We know that homeowners desire their personal space and style. Many of those homeowners also crave privacy. That's where decorative glass and acrylic block privacy windows come into play. People are aligning their home styles with their windows. For example, a desire to enhance a home's arts-and-crafts style naturally leans toward incorporating Mission and Prairie style privacy windows into key rooms in the home." Earlier in 2017 Murphy shared news that large 3' x 5' and smaller 4' x 1' privacy windows were rising in popularity. Sales of both sized windows have been included in key living spaces of the home, including bathrooms and kitchens. "The trend continues for people either building or remodeling a home to include long, thin 4' x 1' privacy windows in showers," says Murphy. 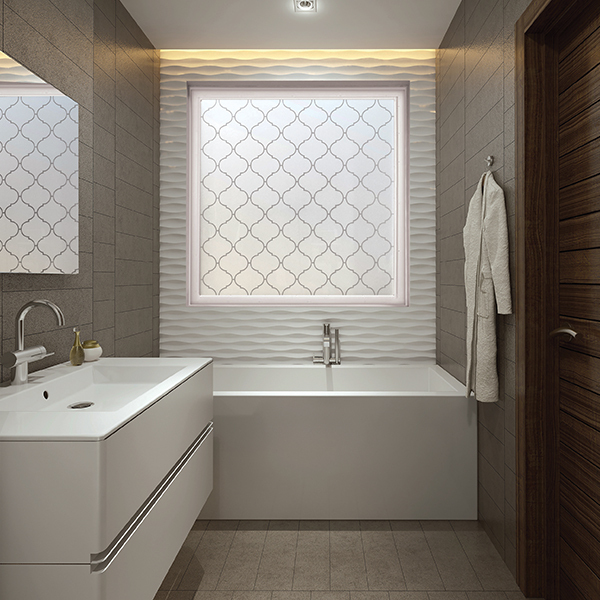 "These windows allow natural light into the shower and can complement the style of a larger 3' x 5' window of a similar design over the master tub. "In kitchens and living spaces, we're seeing the rise of 2' x 2' Home Designer Collection windows as being more popular when arranged on a wall. These windows are a style statement unto themselves. They can be staggered on a wall, added to the top areas or clustered together. The size makes them perfect for bringing light into secluded spaces while still protecting the privacy of the homeowner."